Here is what we are planning on eating this week! 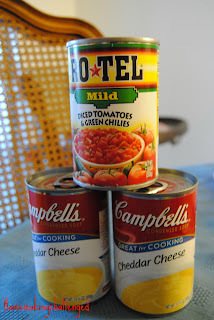 I try each week to post our menu on the blog. I do this to help keep me accountable to planing our meals for our family. I will admit that many times I don't plan, those are the weeks where we are scrambling and chaos fills our evenings. I do not like that feeling of calling my hubby, telling him I'm on my way home and we have to figure out dinner and often cook and eat it within the hour. Without planing things can get crazy, best know ahead of time what you are doing. 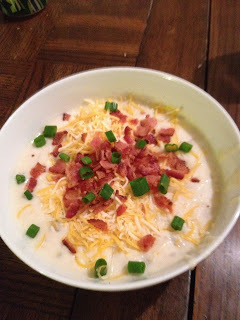 I am still learning how to make this work for my family, how to make this work the best our life and budget, but I can tell you that our lives are WAY easier when we aren't scrambling with the question "What's for dinner" when you are hungry and pressed for time because that can way too easily end up with a drive thru meal. It is much friendlier on your health and budget to plan ahead! Since I still don't have this whole menu planning thing nailed yet, I am going to point you to several of my favorite bloggers thoughts on the subject. Check out these great menu planing posts from: iHeartOrganizing and endless crafting on general planning, Moneysavingmom's part 1 and part 2 on menu planning on a budget and orgjunkie has this great resource list to help you plan. 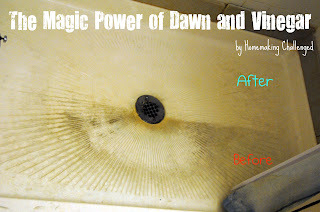 After having seen MANY, MANY pin's on Pinterst about the magic power of Dawn and Vinegar as a bathroom cleaner, I HAD to try it for myself, and I new just the place to do it. Remember, we don't judged here on before pictures! Just mix, apply, wait a few minutes, clean, rinse and voila! 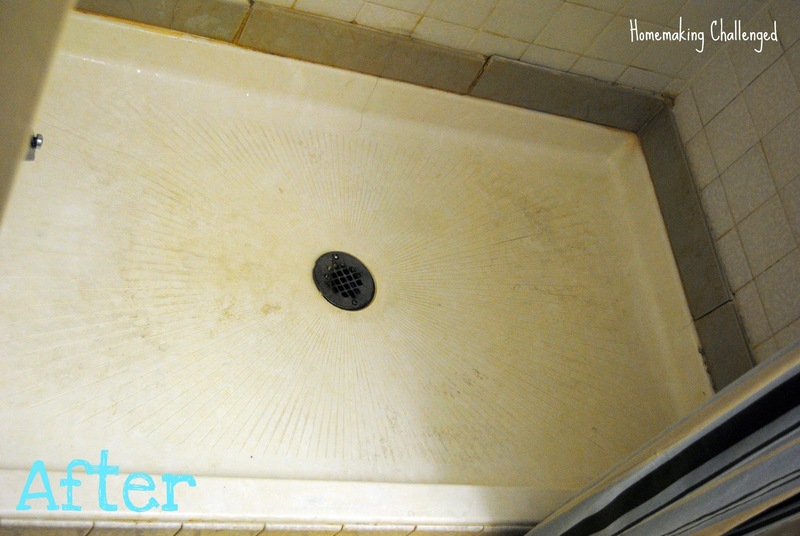 A fabulously cleaned shower! 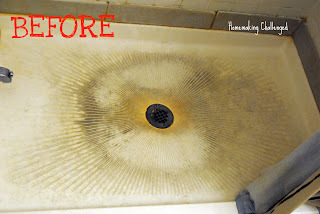 Simple, effective and cheaper than any other cleaner I know that works THIS WELL! I am sold! Have you tried it yet? I'd love to hear about your results! ... and meet my new best friend. For those of you who are fb fans, and guessed dishwasher, you were correct! I am so excited about this. The amount of dishes this family of four generates is absolutely unbelievable. I will have the FULL report soon, but I have multiple pictures to edit as this was our first BIG DYI project and I got a tad camera happy. 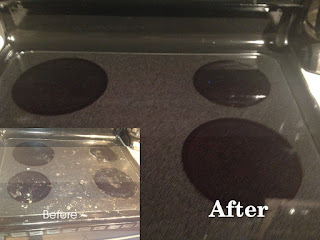 I can honestly say that this will make one of the habits I am working on this year, of daily dishes much, much easier. For those of you who have been enjoying a dishwasher, remember what a blessing it is. Also, if you happen to be at my house and catch me kissing it, please forgive me. By far the most popular blog post to date is my Chicken Tortilla Bake. Most of its popularity and traffic comes from Pintrest and a few other big blogs who have linked to the site (thanks for that!). Several months ago, I got a sweet email from a reader who asked me if there was a non-meat version. I have never seen/heard of one, so I decided to create it. I invited a friend over for dinner who had agreed to be my "guinea pig" We were both happy with the results, so without further delay my Black Bean Tortilla Bake. Combine the Rotel and Cheddar Cheese together in a bowl and mix well, then add in the black beans. In a 8x8 pan layer 1/3rd of the diced tortilla bits on the bottom of the pan. Poor half of the soup mixture over the tortilla bits, layer another 1/3rd of the tortilla bits on top and then poor the remaining portion of the soup mixture and then top with the remainder of the tortilla bits. Cover and bake at 350 until heated through. Please enjoy, feel free to pin, and share as long as you link back to my page. PS I love to Blog PARTY! Check here to see all the great places I'm linking up! Seeking out others how have been there, have the professional know how, and experiance can be a huge factor in your personal success at home. No matter how long you have been doing something, there is always someone else who has ideas about how to make it better. 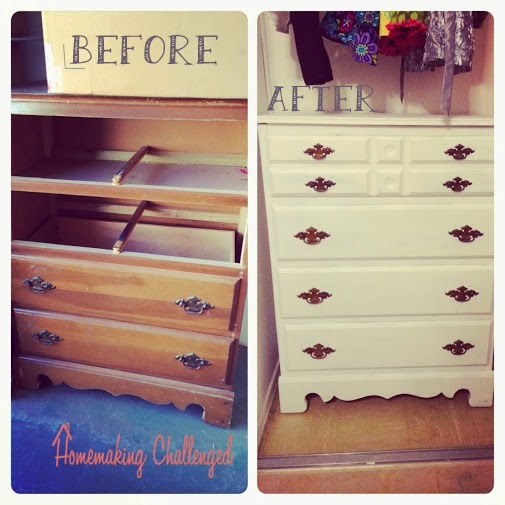 Honestly I think this is my favorite thing about home blogs and pintrest. There are SOOO many AMAZING ideas. Some of them I smack myself in the head saying how did I not think of doing that! Others, I think wow I could have never thought of that, or that is so cool, but I could never do it in million zillion years. I think the best thing we can do is seek out others who have experience and know how. It will save us lots of work in the end. I am by no means saying that I am this person, or that I have it all together. Trust me, if you could see my house right now, you would say, this chick has no right to be writing a homemaking blog. 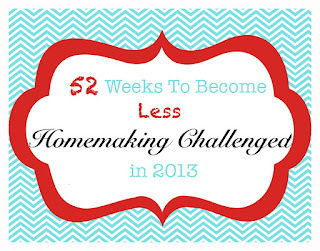 However, that is why it is called homemaking challenged, I am challenged in this area, and am seeking to be better. Asking others for help, is always key, I will be sharing a story about the importance of asking for help later on this week in my blog. One of my habits that I am working on this year for my Project 13 is daily grace. Grace is a word that happens to be popping up all over my life right now. My Mom's group just started reading this book called Graced Based Parenting. I'm excited to read it, but it was also one more affirmation that I need to focus on Grace. One of my favorite passages on Grace is Romans 5 & 6. It is far to long to post here, but it is worth the read. The bottom line is we are all sinners in need of grace. EVERY SINGLE ONE of us. There is not one who has not messed up at some point and time, for most of us it is daily, if not hourly that we mess up. Yet we are under the amazing grace of God. Because of this amazing grace, I need to give myself grace, and not beat myself up so much. I also need to give grace to every person I encounter. How much more should I extend the same grace that has been given to me, to my husband, my children and those closest to me. How often do we judge others, hold things against them and overreact to things? How much better would it be to acknowledge that we are all broken and have grace be given. I am not in any way saying that we can use this grace as an excuse to do whatever we want by any means. (Check out Romans 6:1-2) I am saying that if everyone gave a bit more grace, specifically in our own homes, how much better, happier and loving would that home be? I know that I need to do better on this in my own home. Which is why it is one of the habits I am working on this year. Won't you join me in being better at giving grace to those around you? As life goes racing by, sometimes we as busy homemakers forget to stop and remember the important things. Our kids are only young for so long, moments only happen once, we don't get another chance. When things are crazy, we things are hard, when you feel like you are so overwhelmed. Stop. Take a moment, take a mental picture of your kids, (even if they are in timeout, screaming, or covered in flour). These are things you will laugh about, stories and memories you are creating. Your home is meant to be lived in. It is meant to hold lives, love, laughter and create thoughts memories and stories. When the chaos of life his happening, stop, take a moment to breath, ground yourself and know that this wont last forever. This is especially helpful when you have an 8month who screams and crawls after you all over the house because she wants just you to hold her, and a 2 year old who thinks he can tell you no, and do what he wants and then ends up in time out. Not that I would know anything about that. 1) Get to bed on time. 2) Do a quite time. I try and spend my first moments awake with the Lord. It is a time that I treasure, but if I don't wake up early enough one that gets cut short or is a challenge to find. 3) Sip on a hot beverage and down a full glass of water. Doing this with in the 1st hour of waking up helps you wake up with tea, coffee or hot chocolate and allows you to slowly greet the day. The water helps you stay hydrated and makes sure you are running at full capacity. Hope that these tips will help you start your mornings on the right foot!